It's that sort of awkward time of the year between Christmas and New Years where you're stuck doing family things with relatively few other things to do. Hence I'm surprised it's taken me 3 days to write this review but I suppose that now is the first time I've been sober enough to. 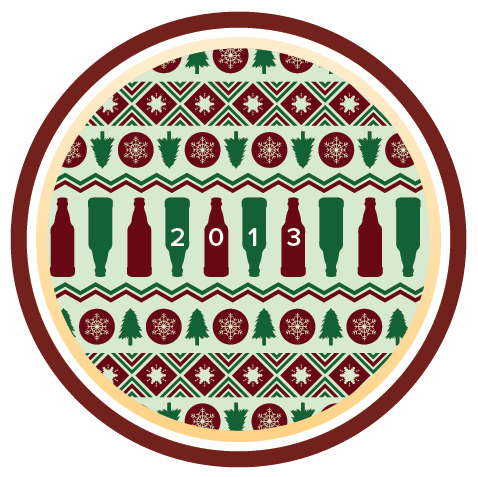 Merry Brew-mas is a badge that turns up every Christmas Day. 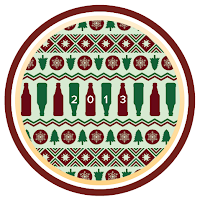 To get the new badge each year all you have to do is check-in to any beer on Christmas Day. 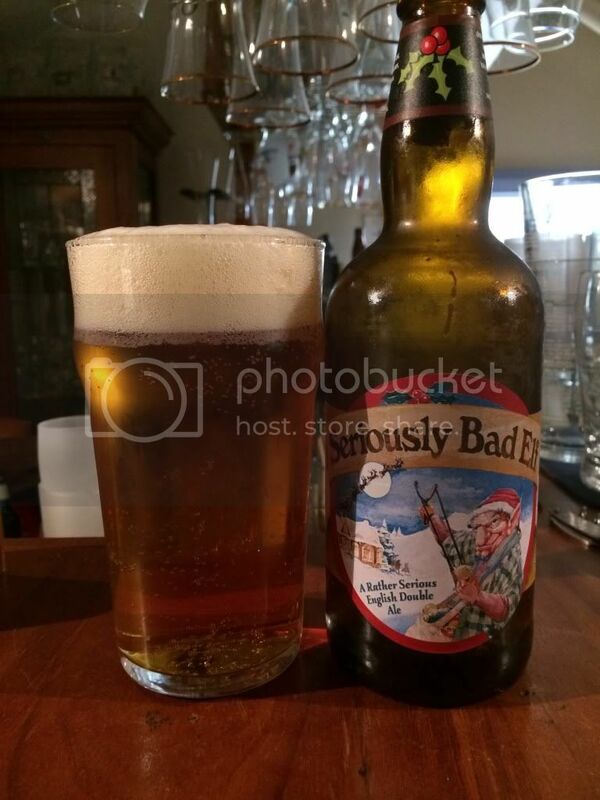 This year I decided to keep a festive theme to my beer and went with Ridgeway's Seriously Bad Elf. I don't know a lot about the beer but I was interested to try it. The English Strong Ale is a style I'm not hugely familiar with. So I thought that assessing the appearance would be a little tricky. However based on what I know the colour seems a bit light for the style, it's a golden colour with a thick creamy looking head on top. The head has good retention and at least a finger lasts for the duration of drinking. On to the nose and my initial fears have been realized. Initially there is this relatively nice tart apple smell, however as the beer warms there is this horrendously strong aroma of alcohol. There's a slightly sweet overall feel to the beer but the nose was completely destroyed by the raw alcohol aroma. Unfortunately the alcohol that was present on the nose is even stronger when it comes to tasting it. There's some malt sweetness, no detectable hops and a really odd chemically mouthfeel. The apple flavour is almost present and there's a tiny hint of honey, but far too much raw alcohol overrides everything else.